2014 was not my best year for books since I both read and reviewed fewer books than usual, especially in the second half of the year due to moving to a new state. I am hoping to read and write reviews more regularly in 2015! It wasn’t my best year in terms of quality of books read, either. Last year I rated three books 10/10 and this year not one book received that rating, although there were two 9/10 books. I was also disappointed in a couple of my most anticipated releases, but on the positive side some of the other books I’d been looking forward to were quite good and I discovered some good new-to-me authors this year. Renay from Lady Business unveiled the reader-contributed recommendations for SFF by women from the previous year—a list of over 800 books! That’s just a small sampling of last year’s wonderful posts. In 2015, I’d like to both run this again and look into putting together an anthology of articles from this event. I’m not entirely sure how to do the latter so if anyone has some tips for how to go about that, I would welcome them! Another favorite part of blogging in 2014 was Sci-Fi Month hosted by Asti and Kelley of Oh the Books! and Rinn from Rinn Reads. Nearly 100 people signed up to participate in this event dedicated to all things science fiction, and our hosts did a wonderful job with putting it together and running the Twitter account! I had a great time participating in a blogger panel about science in science fiction and I had a great time reading since two of my favorite books from this year were books I read during Sci-Fi November. Now… On to my favorite books of 2014! This year I’m also including a section for short stories since I read more than usual (2 anthologies plus a few stories that were available to read online). These stories were not necessarily published this year, although some of them were, and they are in no particular order. I’ve been eagerly awaiting more books by Sarah Monette since reading her excellent series The Doctrine of Labyrinth, and while it is completely different from these (darker, grimmer) books, The Goblin Emperor did not disappoint! I just loved Maia, an unloved half goblin unexpectedly thrown into the role of emperor after the rest of the royal family dies in an airship crash. He faces many challenges due to his father’s treatment of him and his lack of experience at court, but he is earnest in his desire to be the best ruler he can for his people. 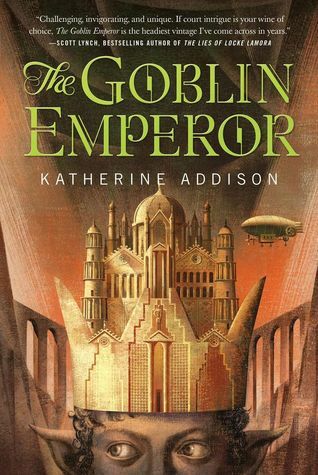 The Goblin Emperor is a wonderfully written, hopeful story. 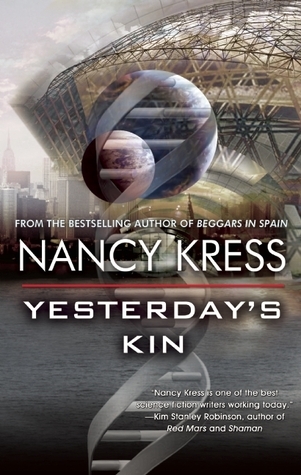 Yesterday’s Kin is a wonderful example of why Nancy Kress is such an acclaimed science fiction author. It’s hard science fiction with a big focus on scientific research and discovery but it’s never bogged down by explanation, remaining equally focused on the characters and story. Once I started reading it, I couldn’t put it down! 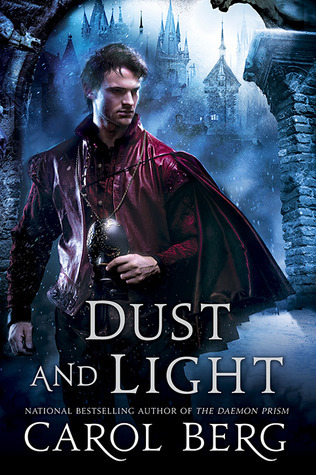 In my opinion, Carol Berg’s books should be reviewed and discussed much more than they are, and Dust and Light contains so much of what I love about them. Her main protagonist is flawed, but I also understood the history and background that contributed to his attitudes and enjoyed watching them change. 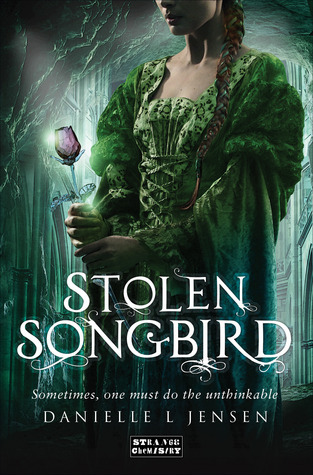 The writing is lovely and I especially liked the intertwining of art and magic. A young singer is captured and brought under the mountain to wed a prince of the trolls to fulfill a prophecy—but to great disappointment, nothing changes after the two are married. This is one of those books that contains a lot of familiar elements but utilizes them well. 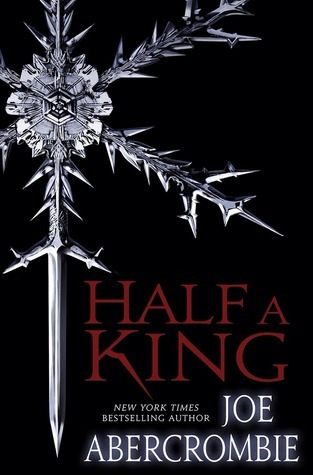 I loved the mystery surrounding the trolls and the kingdom, the growing romance between Tristan and Cecile, and Cecile’s resilience and refusal to give up. 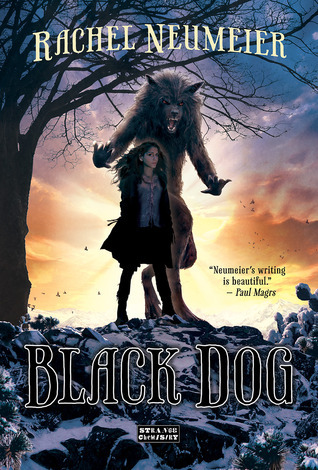 Black Dog has a vast world full of history, and I enjoyed both its uniqueness and the way the story was set in motion long before this book began. It’s centered on three siblings with very different ranges of power—a black dog, a rare Pure, and a human—who stick together and seek to protect each other. I was left eager to read more about this world and the various characters and am looking forward to the sequel! Prince Yarvi finds himself King after the death of both his father and elder brother—which completely ruins his plan to join the Ministry and lands him in the middle of a conspiracy. 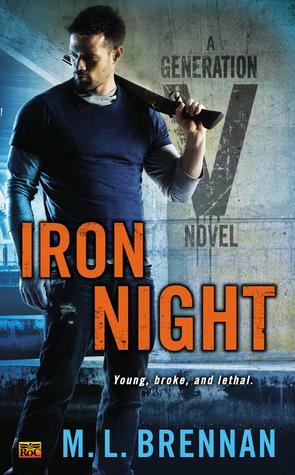 Like other books by Joe Abercrombie, it’s dark with a sardonic edge, but it’s also a tighter story and lighter (if for no other reason than that many of the central characters are more sympathetic and not completely terrible people). 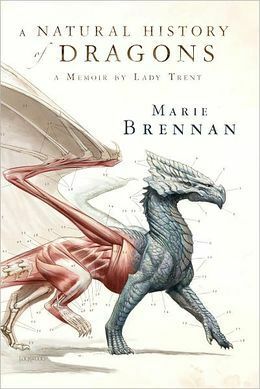 A Natural History of Dragons is delightfully charming and is one of my two favorites of the year, perhaps even my very favorite book I read this year since it’s a close call between this and The Goblin Emperor. It’s told from the perspective of Isabella, Lady Trent, as she looks back on her early life and her interest in a most “unladylike” activity, the study of natural history. Warchild was one of my favorite books I read last year, if not my favorite book. 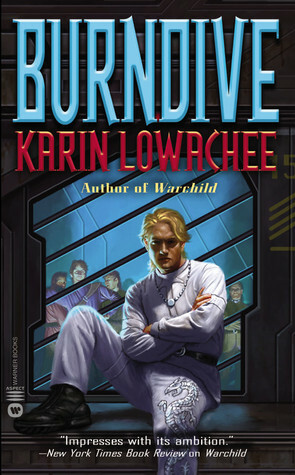 It took me a bit longer to become immersed in Burndive, the second book set in this universe, but once it started building more on the story from the first book I enjoyed it very much. I was also quite happy to see some of the characters from the first book. This is a science fiction series that should not be missed! 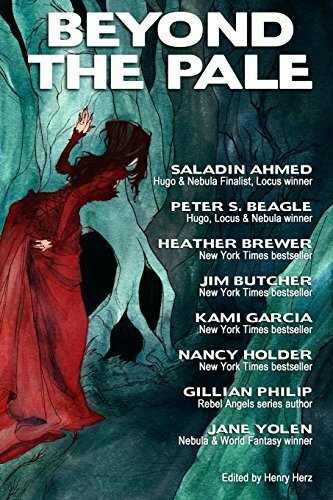 Three short stories I especially enjoyed were from Beyond the Pale. My very favorite is the mythic tale “The Children of the Shark God,” but I enjoyed “Hooves and the Hovel of Abdel Jameela” and “Frost Child” nearly as much. 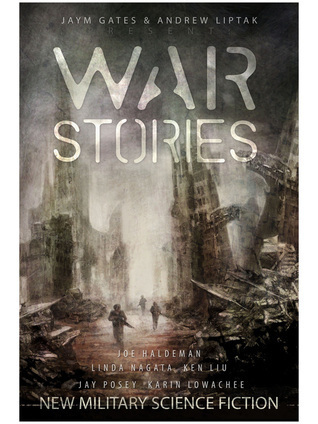 I haven’t read War Stories, but I did read “Enemy State” because a) it’s by Karin Lowachee and b) it’s on the Apex Magazine website. She does heart-wrenching so well. This story is very short but packs a lot of emotional impact—and you can read it free online! 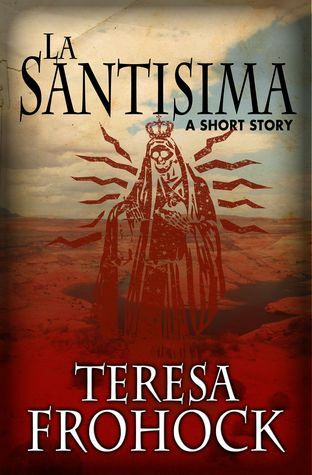 I read it because Teresa Frohock’s debut novel Miserere is wonderful, and I’m eagerly awaiting her second novel. 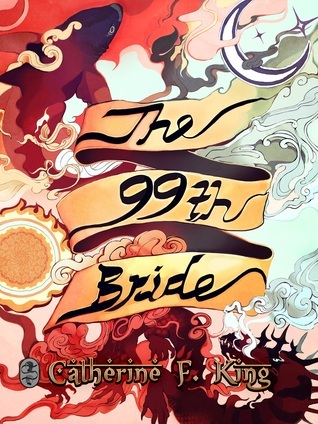 The Book Smugglers published 6 short stories on their blog this year, including “The Ninety-Ninth Bride,” an excellent feminist Arabian Nights retelling. 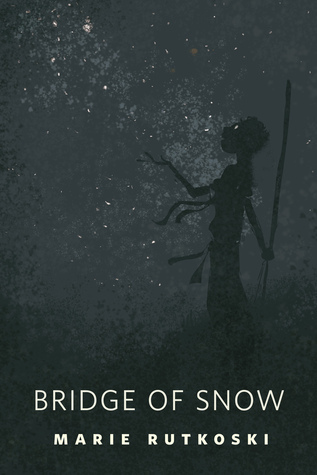 “Bridge of Snow,” a beautifully written prequel to Marie Rutkoski’s The Winner’s Curse, was published on Tor.com earlier this year. I enjoyed the novel more since I prefer longer stories, but I thought the short story was technically better written and more tightly paced. While I finished reading this anthology in 2014, I realized I actually read this story in late 2013 after I added it to my list. I decided to leave it here anyway since I did not make a short story list last year and the main point of lists like this is to bring attention to noteworthy works. 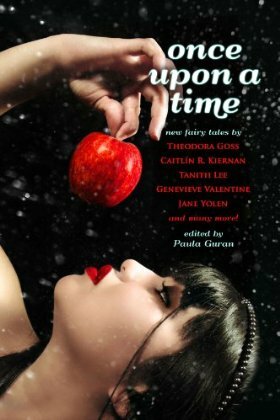 Once Upon a Time is an anthology of fairy tales and this tale based on Korean folklore was beautifully written and my favorite of them all. In fact, it was so excellent I added Yoon Ha Lee’s collection Conservation of Shadows to my wish list even though I rarely buy or read short stories!